Song-writing duo George Stiles and Anthony Drewe ('Honk! 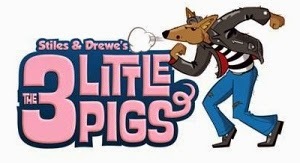 ', 'Betty Blue Eyes', 'Just So', 'Mary Poppins', 'Peter Pan' and 'Soho Cinders') will premiere their latest musical which an adaptation of The Three Little Pigs, at the Palace Theatre in London's West End for a limited summer season from 5th August to 6th September 2015, with a running time of 50 minutes and performances in the morning and early afternoon. It will star the group Blue's singer Simon Webbe (Wolf), Daniel Buckley (Q), Leanne Jones (Bee), Aison Jiear (seen recently on Britains Got Talent) As Mummy Pig and Taofique Folarin (Bar). It tells the story of how the three little porkers become world renowned celebrity superstars when forced to leave the warmth of their mother's overcrowded sty. 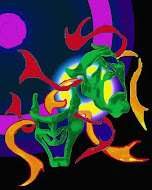 Will the Three Little Pigs cope without their adoring mother's 'hogs and kisses'? Will their DIY building skills cut the mustard? And will they be able to stand on their own four trotters and outwit the Big Bad Wolf?" The production will be directed by Anthony Drewe with set and costumes designed by Jason Denvir, choreography by Ewan Jones and lighting designed by Oliver Fenwick. It will run alongside Roddy Doyle's the Commitments which is due to end its run at the theatre on 1st November.